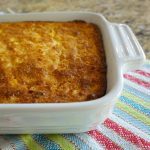 Southern Jiffy Cornbread Pudding Recipe is an easy and delicious side dish for holidays and family gatherings that feeds a crowd! We love serving it with pulled chicken and gravy and a good helping of green beans. A family favorite that is perfect for Thanksgiving, Christmas and any other day just for good eating. Bake it in a beautiful dish, it molds perfectly, even to our family heirloom octagon pie pans and our favorite Le Creuset White casserole dishes. Add some yummy shredded cheddar , swiss, or any other shredded favorite hard cheese. Consider adding a few seeded and chopped jalapenos with the cheese for a little heat. 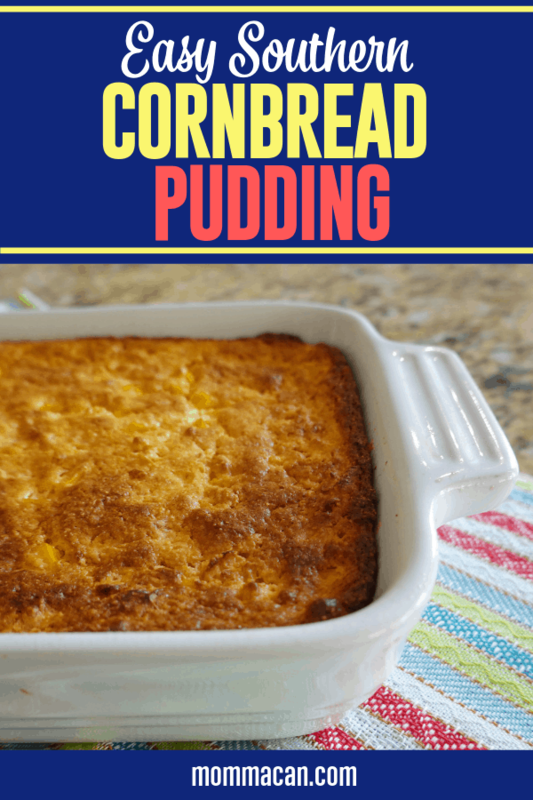 Make sure to double the recipe for family gatherings, as the cornbread pudding recipe disappears quickly. Have the recipe handy to share with friends. 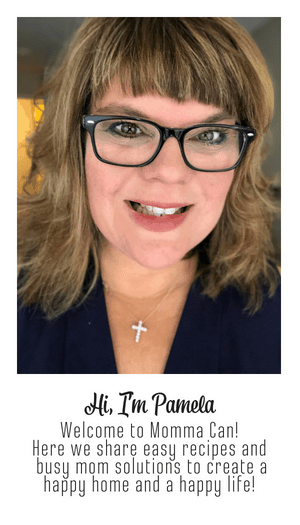 I a Southern gal who moved to California and many Southern dishes are new to the people I meet. If you love this you will also love our Oven Roasted Corn on the Cob!